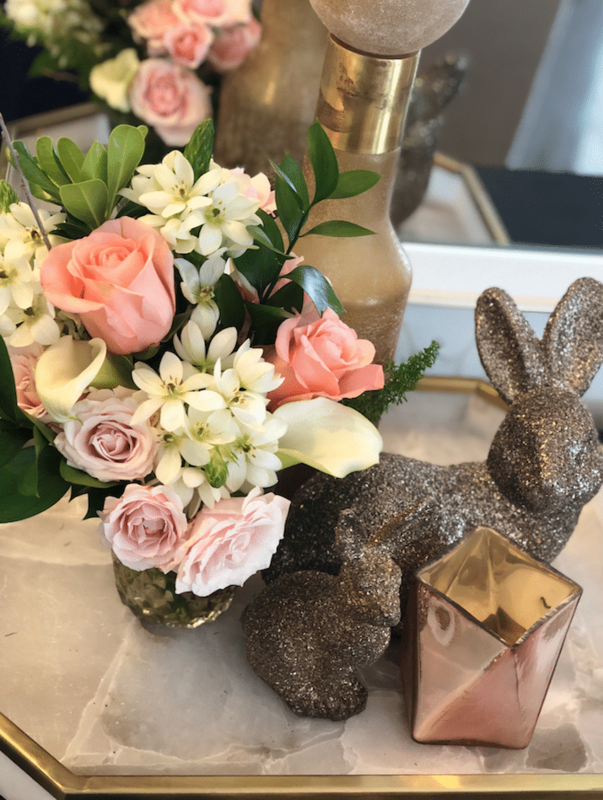 Decorating for Easter or Spring doesn’t have to be about ducks and bunnies – glam up your table decor with a gorgeous table setting using real flowers and fashion forward vases, candles and home accessories available from Safeway’s floral department. Safeway carries Debi Lilly signature home decorating and floral accessories that are both stylish and practical, which means you can reuse them for different seasons and events. If you are not familiar with Debi Lilly, she is a floral designer and event planner in Chicago at A Perfect Event and has an exclusive line of flowers, home decor and accessories for Safeway. 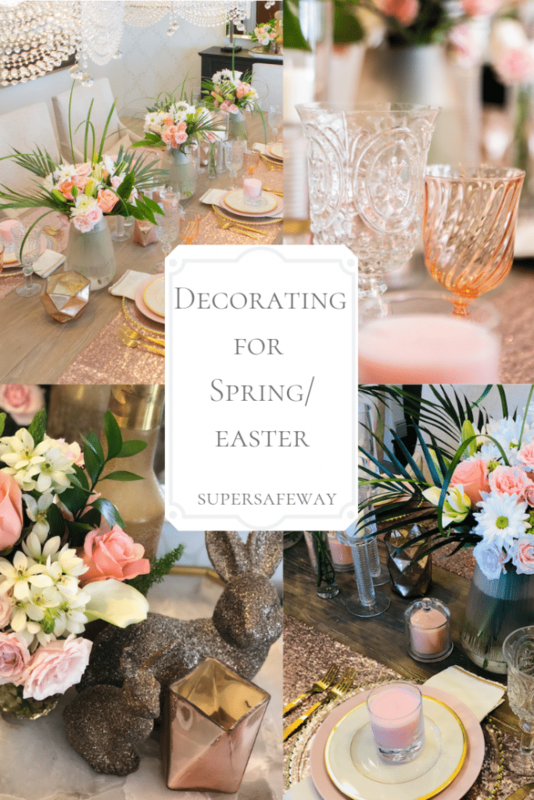 I recently collaborated with Holly Johnson, a Denver interior designer, party planner and blogger over at HomeWithHolliday.com to set a gorgeous spring table using the new Debi Lilly Spring collection from Safeway. 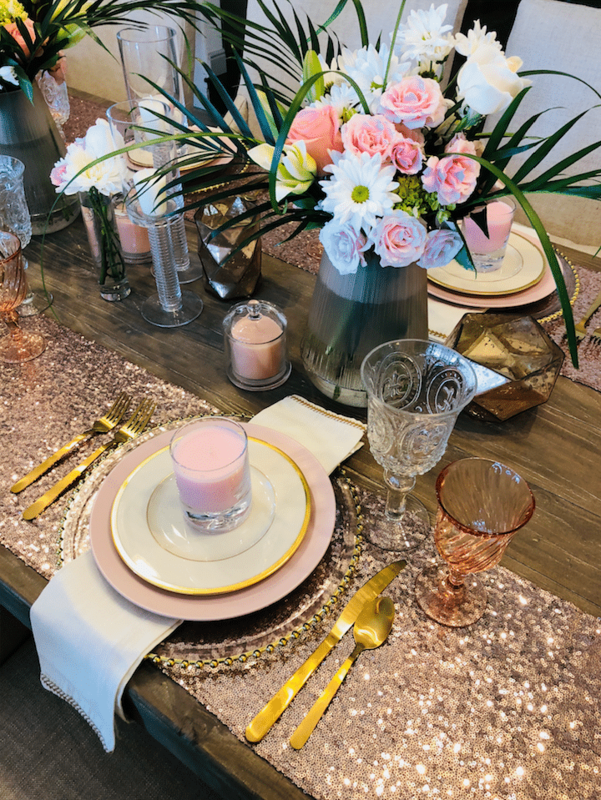 We had a blast visiting our local Safeway and selecting the items to create a glamorous and dramatic Easter table using a blush pink color palette. 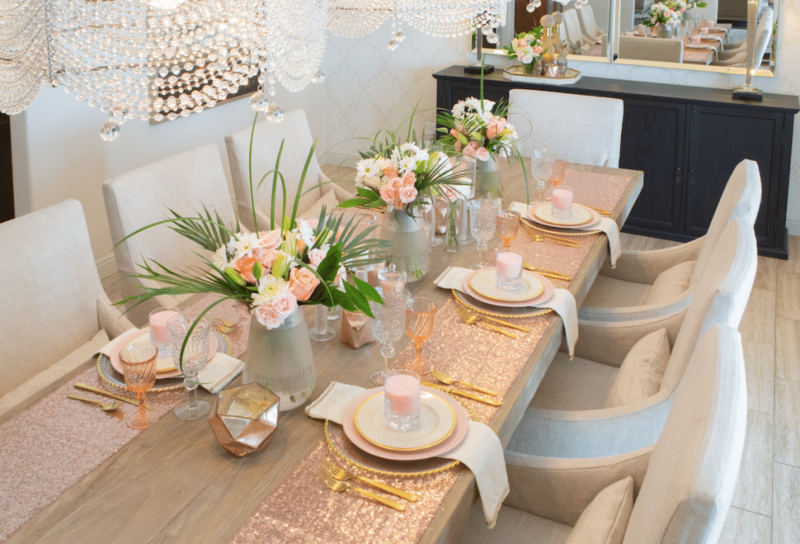 Watch a video below as we talk about how to decorate a beautiful table, perfect for spring. We selected a palette that could be re-purposed for any spring event, like Easter, Mother’s Day, a Bridal or Baby Shower Brunch, a Sweet-16 Party or even a Graduation gathering. The inspiration for our table came from the new Debi Lilly Maison Vases, which are large hurricane vases that you can fill with flowers or candles and they have a beautiful and dramatic presence on a spring table. 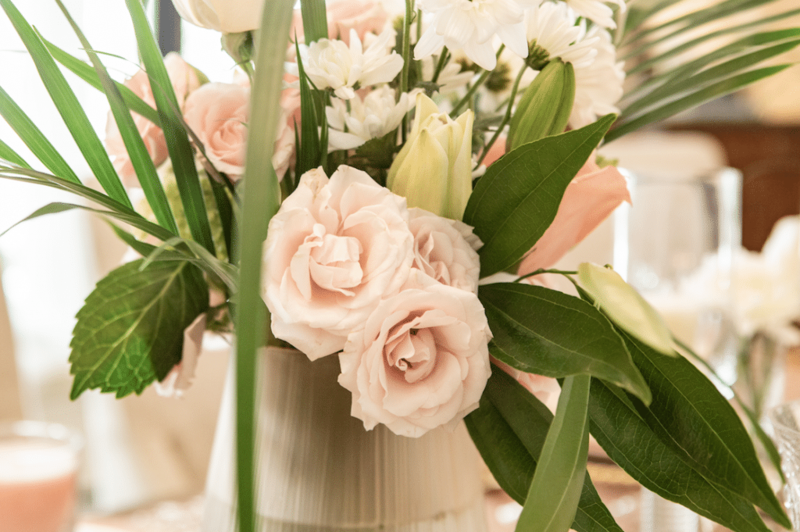 The Maison vase is available in blush pink or light green. You can even mix and match the two colors for a spring table. We used three centerpieces since the table is longer. The rule of thumb is odd numbers so, 1, 3 or 5 centerpieces is key to having a well balanced table. 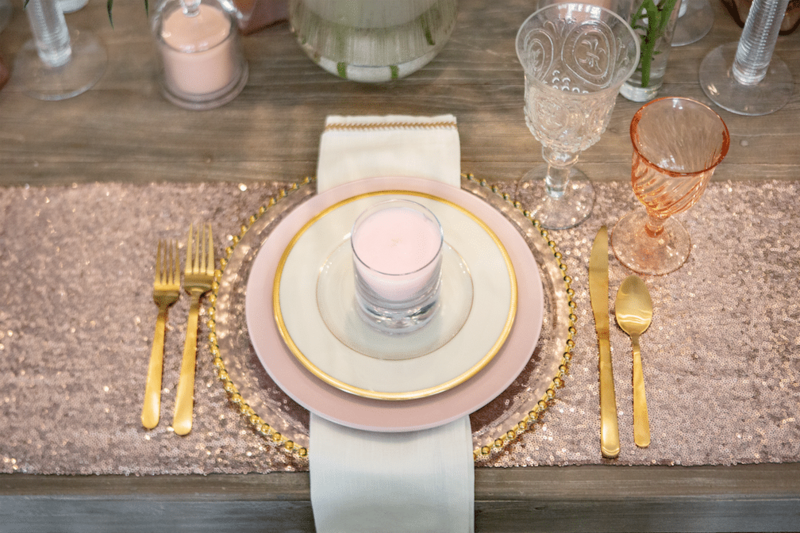 We fell in love with the Debi Lilly Hobnob chargers in gold and decided that gold and blush pink would be a perfect color palette for a spring table. We found these gorgeous tall Debi Lilly water goblets that we mixed with a pink glass that Holly owned. Mixing stemware makes for a more dramatic presentation. Rather than use a single runner down the center, we opted for a glam look with two table runners in lieu of place mats. We used the Safeway Glory bouquet which has a white color tone with white roses, white lilies, and white daisies and some greenery and added some beautiful blush pink roses to match the pink plates and candles we selected as hostess gifts for our table. Select a color palette and incorporate it throughout the table and use as an accent for other areas in the room. Use a table runner under a place setting rather than place mats. It makes for a more dramatic table and reduces the need for place mats, which also leaves more space in the center of the table for more accents and decorations. Add dimension through layering. Start with a runner, add chargers, layer the napkin, larger dinner plates, smaller salad or dessert plates and then top with a hostess gift or name tag. Draping the napkin folded in a long rectangular and draped from top to bottom over the charger and off the edge of the table adds a gorgeous statement and layering element. Layer different height, color and textured stemware for a more dramatic look. Select 3-5 larger centerpieces as the focal point for the table. Use a neutral pre-arranged floral bouquet from Safeway and add bunches of single flowers in your color scheme to enhance the arrangement. Stagger your candles, accessories and extra flowers in an off-set manner so that they are more visually appealing than having everything in a straight line in the center on the table. 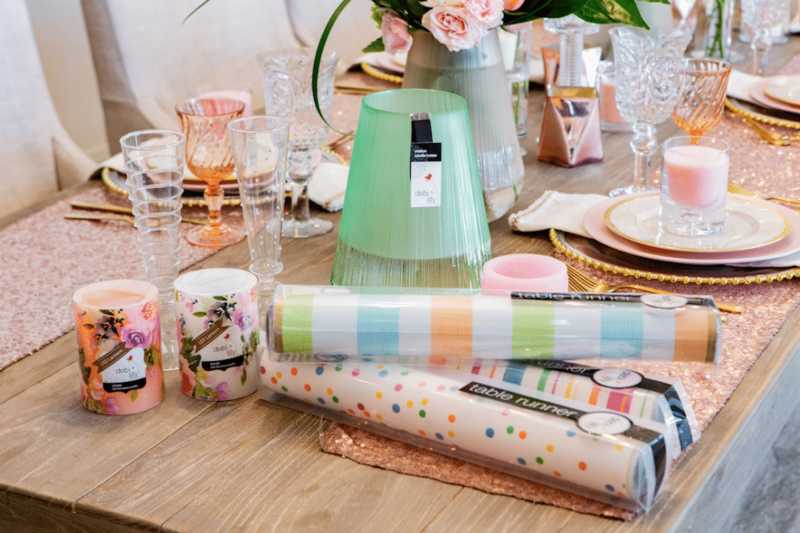 There are walls and walls of gorgeous new Debi Lilly vases, table runners, candles, vases and home accessories available for decorating for Easter and Spring available at your local Safeway. My favorite are the new LED candles available in solid and gorgeous floral patterns. Perfect for decorating a table and adding soft lighting in the process. 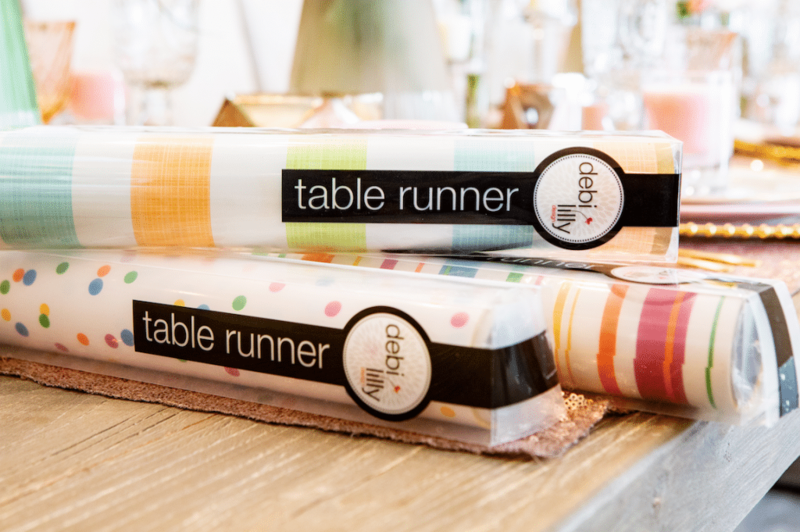 Sturdy paper table runners that are reusable and can be stored easily, available in a variety of colors, perfect for any spring or summer table setting. Incredibly reasonably priced at just $4.99 each at Safeway. Find all of these beautiful Debi Lilly products at your local Safeway in the floral department. The selection varies by store, so for the largest selection of accessories and flowers, be sure to visit a larger Safeway store as they will most likely have a larger floral department. This is a sponsored post on behalf of Safeway to promote the new Debi Lily Spring collection now available in the Safeway floral department. As always, we appreciate and encourage your support of the brands that make this site possible. 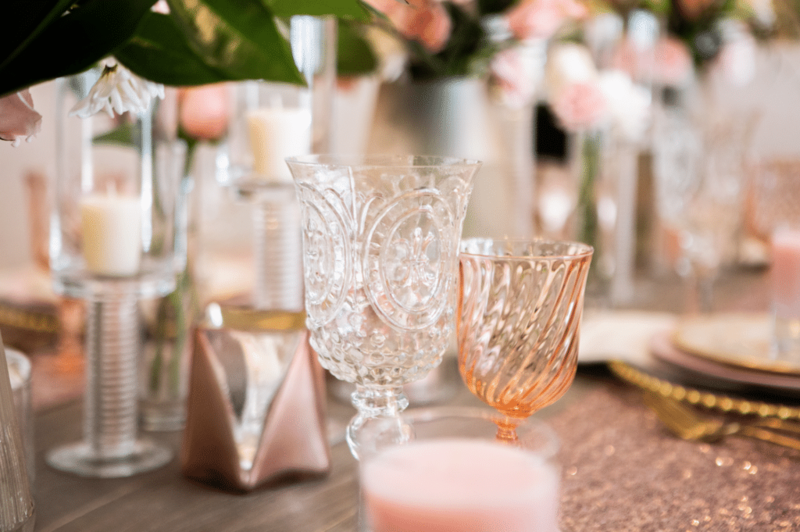 Thank you to Holly Johnson from Home With Holliday for hosting us in her home and for her collaboration in creating the gorgeous table setting and to Jennifer Rettig with Rettig & Co for the beautiful photos and video. SuperSafeway is a blog devoted to helping you find the best deals at Safeway in the Denver division. Every week we post a preview of the Safeway weekly ad and we slice and dice the ad and tell you the best deals at Safeway with and without coupons. We also highlight the best month long deals from the Safeway Big Book of Savings. For more low prices, check out Super Safeway’s weekly ad coupon matchup page. Want to stay updated on the best deals? If so, make sure to like Super Safeway on Facebook, join our Facebook group, follow us on Twitter, Instagram, or Pinterest and subscribe to our newsletter.